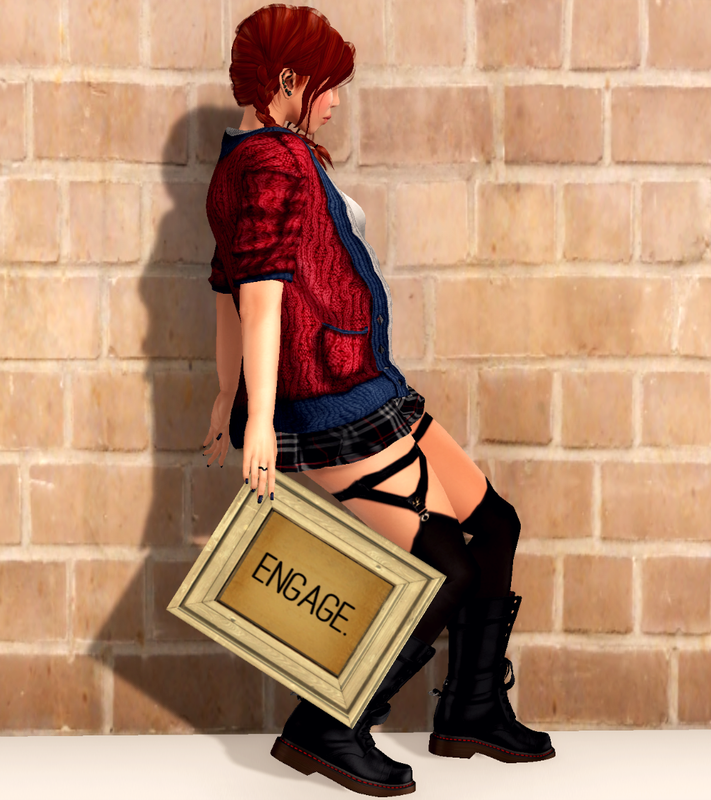 The pose above is from Kuro in Motion “Simplicity” at The Liaison Collaborative – when I saw it I had a photo like this in mind. You can’t see it very well but I’m in the What Next Studio Skybox and on the bed that is from Convair that is from the Garden part of The Liaison Collaborative. Case is wearing: Boxers and a T – Shirt from Shai at the Men’s Dept, Hair from Ink and glasses from Sorgo. His skin is from Tableau Viviant. Sylvia is wearing hair from: Argrace, Lingerie from Steffan Garcia, and glasses from Yummy at Collabor88. 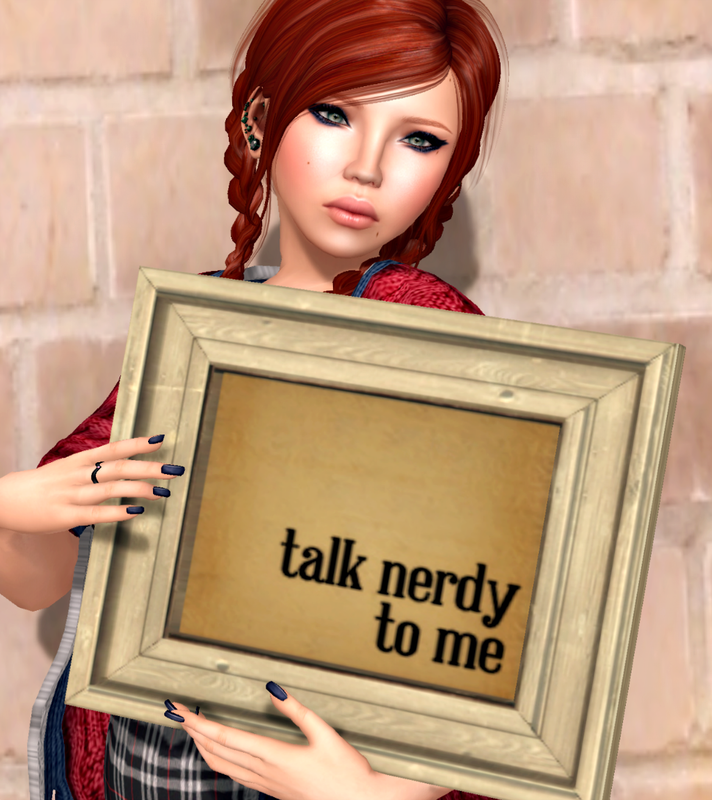 Today is a double feature on my blog of the <strong>Geeks ‘n’ Nerds fair. 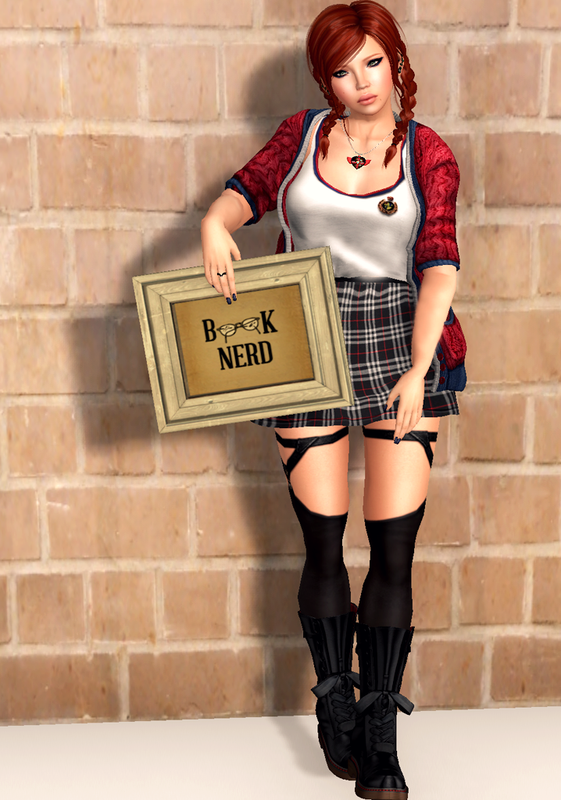 Now I’m featuring some of the clothing, jewelry and make up and the cute nerdy poses from !bang. The poses with prop are in a gacha machine from !bang at 50L a pop and there are several to be had. Super cute little signs of geekdom. The skirt, sweater and tank top outfit that I’m wearing is from Fishy Strawberry and the jewelry that I’m wearing – the rings and necklace are from Olive. The eyeliner that I have on is from Mons and all can be found scattered around the fair. I’m also wearing hair from Argrace, boots from Gos and stockings from League. My current skin is Vera from Glam Affair.